Food has become an increasingly important aspect of the travel experience for me, as I think it has for most people. Not only is the modern traveler more educated when it comes to all things delicious, but even the smallest of cities around the world are undergoing what I call a foodie renaissance spurred on by young and energetic chefs. The result is a travel landscape where food and drink play a starring role, so it’s weird that I haven’t written about food lately as much as I normally do. Purely the result of forgetfulness and not from a lack of experiences, today I want to quickly look back at the last 12 months or so and share my favorite travel and food experiences that in many cases were highlights of the journeys themselves. Sailing around the Mediterranean is always a fun experience, especially when I get the opportunity to visit places new to me. Such was the case when I spent the day in sunny Ajaccio, Corsica. One of the best decisions I made during my time on Corsica was to join a cruise excursion into the city, with an emphasis on the daily market. Since food is always the first aspect of a new place I investigate, it was the perfect fit as my first introduction to Corsican culture. The variety of food is what impressed me most, I didn’t expect the island to be as fertile as it clearly is. Tasting my way around the incredible displays of meats and cheeses at the local market though is what I enjoyed the most, in fact, I was so inspired by the quality of the foods on display that I bought some and enjoyed an impromptu picnic lunch after the tour. Sitting there and looking out across the harbor as I ate my self-made baguette sandwich was pure perfection – better than any fancy lunch at an in-town restaurant by a mile. The capital of the country’s Catalonia region, Barcelona is one of the great culinary centers of Europe, both in terms of traditional as well as more modern cuisine. There’s a reason why some of the world’s best restaurants call Catalonia home, the unique combination of creative chefs and amazing local products make it ideal for creative food concepts. 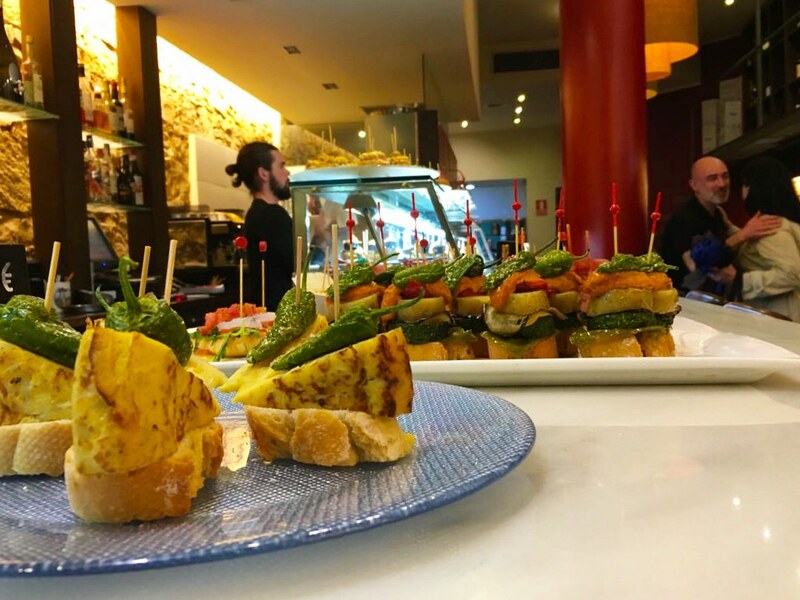 My focus in Barcelona though wasn’t on what’s new in Spanish cuisine, but what’s at the traditional core of the foodie experience – tapas and pica-pica. For generations, the practice of enjoying some light bites and a glass of wine or vermouth before a meal was common practice. One picked at the bites, which is ultimately where the term comes from. In the local Catalan language, picar means to eat small bites of many different types of foods. Originally including mainstays like olives, tomatoes, cheese and ham, it has evolved over time to include any number of small plates. Usually enjoyed in a local bodega, it still is the ideal way to start an evening out with friends, nights that always begin late and end with a fabulous meal. My meal that evening though was solely focused on tapas and pica-pica, the perfect way to best experience not just the city, but the up and coming neighborhood of Poble Sec. I didn’t know what a Luther Dinner was before traveling to Germany, but while spending the week exploring so-called Luther Country, I enjoyed this rustic meal a couple of times. In general, a Luther Dinner is a meal that is inspired by what was popular to eat and drink in the 16th century. So, imagine lots of meat, stews, gravies and an absence of now-iconic ingredients like potatoes and sugar. At the Wartburg Castle Hotel, the chef took the concept and added a fine dining spin to it, creating one of the best meals I’ve ever enjoyed. Still paying homage to Luther, the locally sourced ingredients were creatively reimagined from baked saddle and belly of pork to an incredible honey ice cream, each course was also paired with regional beers and wines inspired by Luther. 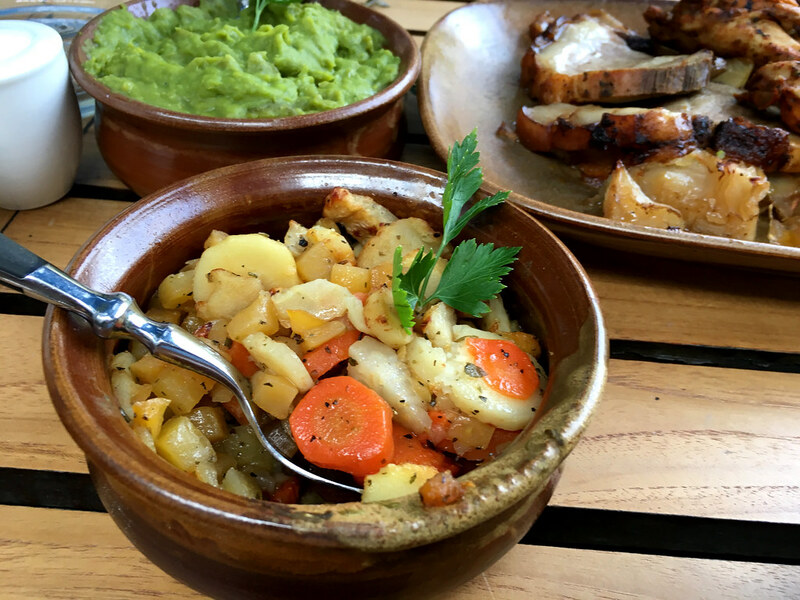 Food is an important part of the experience at the Wartburg Castle Hotel and after enjoying a meal I know I’ll never forget, I quickly understood why. Within the last year I’ve had the good fortune to visit the Alsace region of France twice, and it’s those visits that have convinced me that it is not only one of the best regions in France, but in all of Europe. One of the most contested areas of Europe, this sliver of land has passed hands between France and Germany probably more times than anyone can count. The result is the very unique Alsatian culture, which is a mix of German and French customs and traditions. Strasbourg is the largest city in the region, and a few days exploring are well spent. But the many towns and villages of Alsace are just as important and best seen along the Alsatian Wine Route. Whether you spend 2 days or a week exploring it, you won’t be disappointed, especially ending in the picture perfect city of Colmar. Colmar is the quaint town of our collective dreams and even after a couple of visits I still yearn to return and explore even more of the city. Thanks in large part to its unique position along the Silk Road, traders from around the known world passed through Kyrgyzstan over the centuries, bringing with them different spices and ingredients, recipes and techniques and infusing the region with a new way to enjoy food. The food tour in the city of Karakol is led by a local and takes guests through the successive waves of immigration to the region, from those early traders to the 19th century Russians. Dishes such as Lagman and Ashlyan-Fu are enjoyed but, more importantly, we learned why these dishes are so important to daily life in Karakol. Why people choose to eat them so regularly and, of course, the best places in town to find them. The Karakol food crawl was my favorite experience in Karakol not just because everything was so delicious, but because it was a truly immersive way to learn more about this fascinating part of the country. Burntcoat Head Park is an unlikely pilgrimage spot in Nova Scotia. Not really located close to anything, the entrance is quietly set amongst rolling farmland and pastoral landscapes. But it’s here where the most extreme tidal difference on the Bay was recorded, it’s here where its entry into the records books was secured and it’s here where those extremes happen every single day. It’s also the location for one of the most extraordinary dining experiences I’ve ever had the great pleasure to enjoy. A few years ago, the creative minds at the Flying Apron Inn came up with an audacious idea, to take advantage of those tidal extremes and to offer a fine-dining experience on the ocean floor. Arriving in the mid-afternoon, it’s so much more than just a dinner, it’s an experience. With pre-dinner snacks and drinks, guided tours of the Bay and local experts providing an insight into the region, it’s a robust experience with Fundy at its center. Naturally though, the highlight was the incredible meal itself, created by the Flying Apron’s Chef Velden and paired with local wines and beers. The afternoon and evening was fun in every meaning of the word, but it was much more than that. It was an immersive way to learn more about Fundy and to experience it in a very personal way. This is without a doubt one of the most creative meals I’ve ever enjoyed and one that I know I’ll never forget. At the heart of the Finger Lakes experience in New York for many are the wineries, breweries and distilleries found all around the lakes. For decades, Finger Lakes wines were produced using native grapes and, for the most part, the results were mixed. But then in the 1960s, mimicking global wine trends, vinifera grapes were introduced and the wineries in the region started producing everything from stellar Rieslings to full bodied reds. Today the results speak for themselves and with more than 140 wineries in the Finger Lakes, visitors can try as many of these vintages for themselves as they want. It’s hard to go wrong when choosing wineries to visit, but for a fun and immersive experience stop by Wagner’s on Seneca Lake. Wagner Vineyards Estate Winery produces a wide selection of amazing wines, but they also have a brewery on site that creates just as tasty ales, porters and IPAs. With a large deck overlooking the vines and lake, it’s the perfect spot to sit back and relax. Not surprisingly, one of the highlights of my time in Yangon was learning about the city’s very unique cuisine, in which I received a fun crash course while on a Yangon Food Tour. While I could have clumsily eaten my way around the city, I wanted to take a food tour for a more organized immersion into Myanmar’s foodie scene. I did some research and didn’t find many options, but then I discovered Yangon Food Tours. In operation for just a few months, this is very much a business with passion and I was excited not just to enjoy a food tour dinner, but also to support a truly local startup. The Yangon Food Tour is a good mix of stall and restaurant food, which, honestly perfectly reflects the style of eating in Yangon. And eating is serious business in the city, I marveled at how many restaurants and other opportunities to eat there were everywhere around town. Not unlike other countries in the region, food is at the heart of the experience and to truly start to understand the culture and people, you have to understand what they eat and how they enjoy food. Yes, the Yangon Food Tour was the ideal introduction to the cuisine of Yangon and Myanmar, but it did more than that. It was also the perfect way for me to get used to the city, to shed any concerns or fears I may have had in a new place and to learn to enjoy Yangon for everything that makes it so great. It was one of the highlights of my time in Myanmar, well worth the investment of $35 and a few hours of my time. Perched high on a hill overlooking the city of Sorrento and the bay on which it sits, I couldn’t help but fall in love. This is the promise, this is what the coastline of Italy should be and living there, even if only for a few days, was a travel experience I won’t soon forget. A slower pace of life, kind people and delicious food; add in amazing scenery and you have a recipe for success. 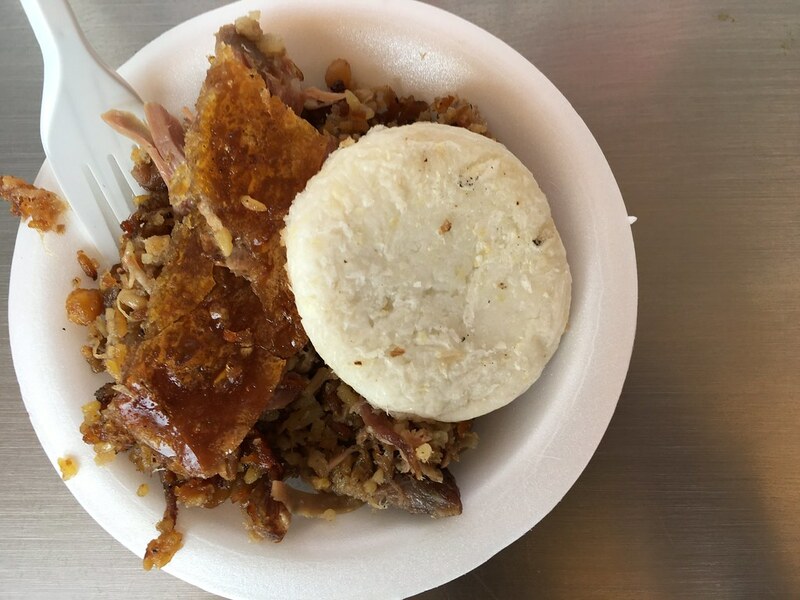 While I loved learning more about the city, one of my favorite experiences there had nothing to do with the views or long history, it was instead an experience I booked to learn more about the culture through food. Chef Carmen has long been a fixture in Sorrento and has led cooking classes for years. She’s famous not only for her stellar cooking skills, but for a personality that lights up a room. Spending several hours with her, along with a small group of other students, I laughed more than I have in a long time as I learned the intricacies of making such classics as pizza, gnocchi and eggplant parmesan. While I’m not sure I can replicate the recipes at home exactly, there’s no doubt I had a fun afternoon and a delicious meal as a result of my time with Carmen. I normally don’t consider myself a fine-dining kind of guy and yet, whenever I experience a great restaurant, I almost always walk away impressed. That was definitely the case after an incredible 11-course tasting menu at the organic Strawberry Tree Restaurant at Macreddin Village. The BrookLodge and attached restaurant are a relaxing country retreat where pastoral luxury reigns supreme. I love great properties like the BrookLodge, tucked away deep in the rolling hills and a place where people go to do little more than relax. But it’s also home to Ireland’s only entirely organic restaurant, the Strawberry Tree. Led by a chef with a fierce obsession with seasonality, they even have a full-time forager on staff who treks every day to find the freshest ingredients in the pastures and paths surrounding Macreddin. The results speak for themselves; after a leisurely dinner I was as impressed as I’ve ever been by a food experience. Each course was more surprising than the last and when combined with great service and hospitality, it was the perfect evening. Following my Viking cruise I was in Rome jut a few days before Christmas and so decided to join a very special walking tour with Context Travel. Famous for offering thoughtful and offbeat walking tours around the world, in Rome I decided to hop on their seasonal holiday food tour. Led by a local chef and food writer, she spent the morning taking us to some of Rome’s best kept foodie secrets to sample those delicacies most important around the holidays. Cakes and chocolates, sandwiches and pizza and of course gelato all played a role but, more importantly, I learned a lot about the holiday traditions of the city and how local Romans celebrate the season. No matter what you decide to eat in Rome, be sure to get out there and be adventurous, exploring new neighborhoods and finding your own perfect bites.